Puppy paws, late-night snacks, that glass of wine you forgot was on your nightstand… it only takes an instant to destroy a mattress. You might be thinking—what’s a teeny, tiny stain going to hurt? Well, depending on the fine print in your mattress warranty, a small stain or tear could be a big problem should you ever need a replacement. This can seem like a petty policy on the surface, but for the health and safety of mattress company employees, any soiled products can’t be handled to prevent any spread of disease. Of course, accidents happen, so what’s the best solution here? Enter, the mattress protector. Built to protect against a variety of potential damage, mattress protectors have tons of features and options that you may or may not need depending on your day-to-day (Or night-to-night, if you will.) needs. From something as simple as a cotton mattress pad to a hypoallergenic mattress cover, gone are the days of the loud, basic plastic mattress cover that keeps you up all night. 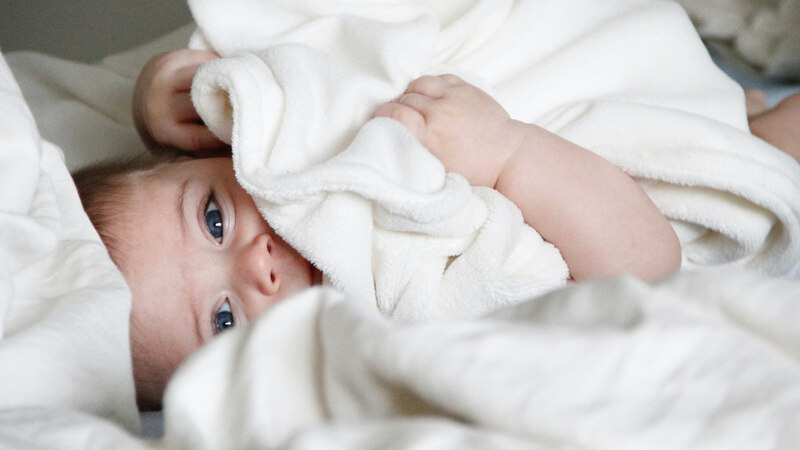 Determine What You Need To Protect Your Mattress From Not everyone has seven co-sleeping kids and a few dozen cat claws to worry about, so step one is to figure out exactly what you need and what you don’t. A zippered mattress cover, for example, is ideal to protect against bed bugs, so if you live in a busy apartment building in a densely-populated city like New York, you’d be smart to lean on a full encasement. The trade-off is that a full encasement can inhibit breathability, so if you live in on a mountain alone and never travel, you might just need a slight barrier between you and your bedtime snacks. The best mattress cover is one that won’t let you down when it counts—so really put some thought into what you’ll need. Do you need to watch out for a little one still potty training? Maybe your mattress lives in a tight space and needs to be protected from sharp corners or a wall. List out the potential for harm in your bedroom and choose a cover that does everything you need. Which Cover Is Right For You? Traditional Mattress Pad Cover The mattress pad is a classic mattress accessory and can serve two purposes: to create a barrier between you and your mattress and to provide a little extra comfort that a typical waterproof mattress cover might not. These covers will protect against accidents and spills, and the quilted top layer can add some plushness to your sleep setup. Mattress pads can sometimes refer to toppers, so be sure to check the packaging or description online to see if it protects against liquids if you’re worried about stains. Mattress pads can easily be pulled off and thrown into the wash, which makes for fast, easy clean-up when you really need it. Perfect for: Hot sleepers who just need to protect their mattress from the basics. Zippered Mattress Protector The all-protecting master cover, a zippered encasement protects your mattress from all sides. Nothing gets in, nothing gets out. These are great if you’re looking for an allergy mattress cover to protect against any dust mites or allergens. Enclosed protectors will definitely extend the life of your mattress, though they can sometimes retain heat. If you’re looking to really prevent any tearing, staining, or dust mites, the heat retention is likely worth it! These protectors offer a high level of protection when you need it most. Perfect for: City-dwellers or allergy-prone sleepers who might have dust mites and other undesirable guests to worry about. Foam Mattress Cover Some mattress protectors can double as a foam mattress topper cover, allowing you to get ahead of any damage but add a layer of foam for comfort. These typically don’t fully encase your mattress, so the bottom may be left open to the elements, but if you aren’t too worried about full coverage and you love the feel of foam, this is probably the winner for you! Memory foam is one of the more popular materials, though it can also retain heat. You can get tons of different foam materials, from run-of-the-mill memory foam to upgraded materials featuring gel layers that help prevent overheating. Perfect for: Those searching for a bit more comfort with their cover.